St. Ermins is one of our favourite local venues. Situated off St. James’ park, it’s central location and grand ballroom make it a popular choice for couples. 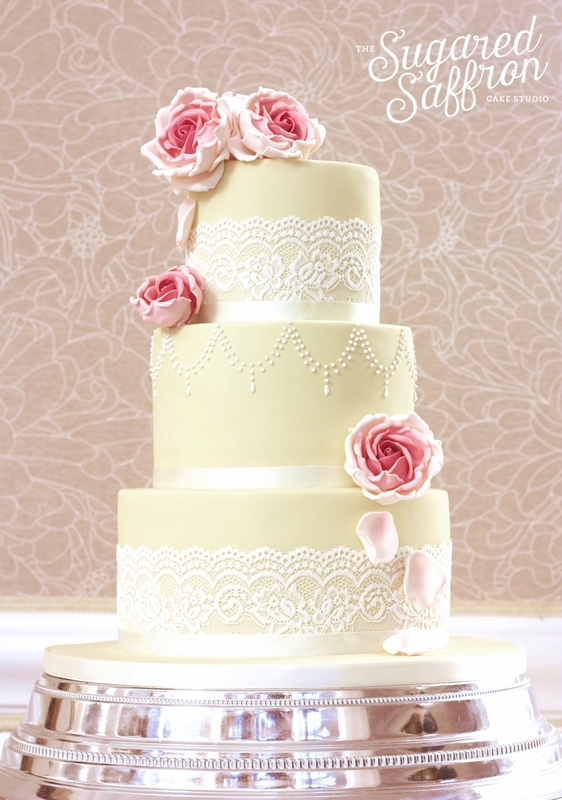 This classically beautiful wedding cake in ivory featured real lace to compliment the couples vintage styling. 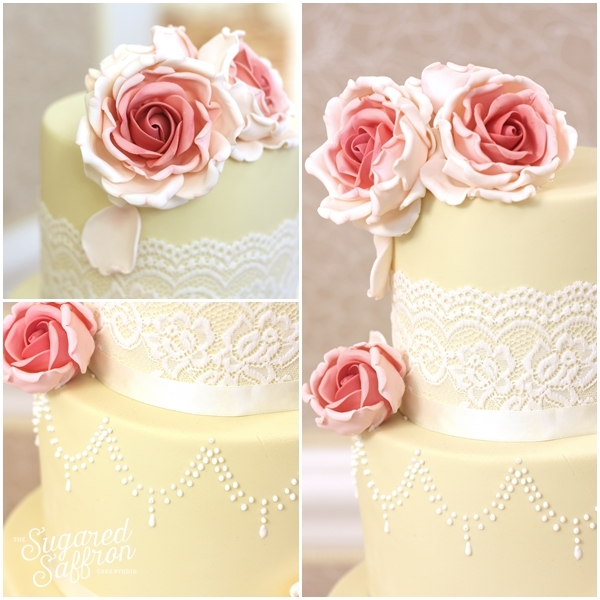 The handmade sugar roses in graduated shades of pink with falling petals adds some romance to the sweet design. The pearl swags are precisely hand piped with royal icing and bring the 3 tiers together. The wedding cake sat perfectly in St.Ermins grand ballroom on their own traditional napier cake stand. The soft ivory looked gorgeous, and I think a pale blue or pale mint would look just as fabulous!